RIYADH, Saudi Arabia, September 27th, 2017: Otis Saudi Arabia has been selected for the prestigious Riyadh Metro – lines 4, 5 and 6 – by FAST Consortium of companies, which is led by Spanish construction group FCC and includes partners Samsung C&T, Alstom, Strukton, Freyssinet Saudi Arabia; and is contracted by the High Commission for the Development of Arriyadh. Otis, the world’s largest manufacturer and maintainer of people-moving products, including elevators, escalators and moving walkways, is a unit of United Technologies Corp. (NYSE: UTX). Otis will supply 256 escalators, 6 moving walkways, and 183 machine room-less elevators with travel speeds up to 1.0 meter per second, including fully glazed panoramic elevators. The heavy-duty escalators are specifically designed for public transportation. The scope awarded to Otis comprises of all elevators and escalators within the three lines of the metro for all stations across Riyadh, two train depots, and three car parking facilities over a total area of 72 kilometers. Otis, which operates in Saudi Arabia as Otis Elevator Company Saudi Arabia Limited is part of a joint venture between Otis Elevator Company (New Jersey) and E.A. Juffali & Brothers in the Kingdom of Saudi Arabia. 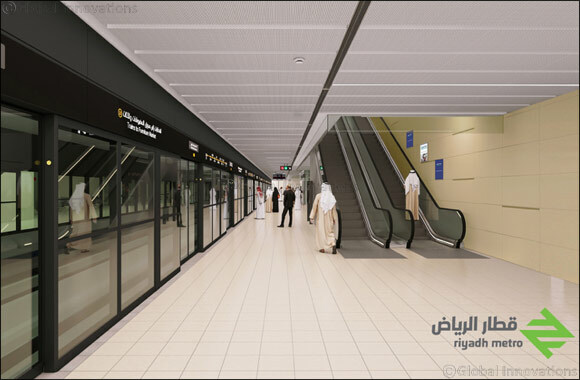 The Riyadh Metro Project constitutes the backbone of the future public transit system in Riyadh. With 6 lines totaling 176 km and 85 metro stations, the Metro network will serve most of the densely populated areas, public facilities, as well as educational, commercial and medical institutions. It will be connected to King Khalid International Airport and King Abdullah Financial District, in addition to main universities and the downtown area. The Riyadh Metro Project aims at providing the residents of Saudi Arabia’s capital with a comprehensive, reliable, and safe public transit network to meet the city’s current and future transportation needs. The project will be of great benefit to Riyadh’s economy, mobility, society and environment.